A dead woman witnesses an alien invasion on Mars in a bizarre afterlife. Jennifer Reed finds herself in a post-death installation where she is encouraged to “go through.” Unaware of the installation’s purpose, she escapes – just as the world is invaded. With no knowledge of what is happening or why, she connects with a rebel who recognises her as Miranda, a past-life incarnation guilty of betrayal. While her dream-like perceptions increase, her comprehension remains zero. Is she doomed to repeat the imprisonment of the reincarnation cycle? She touched her face. Was it still Thursday? “I thought I was old,” she said. 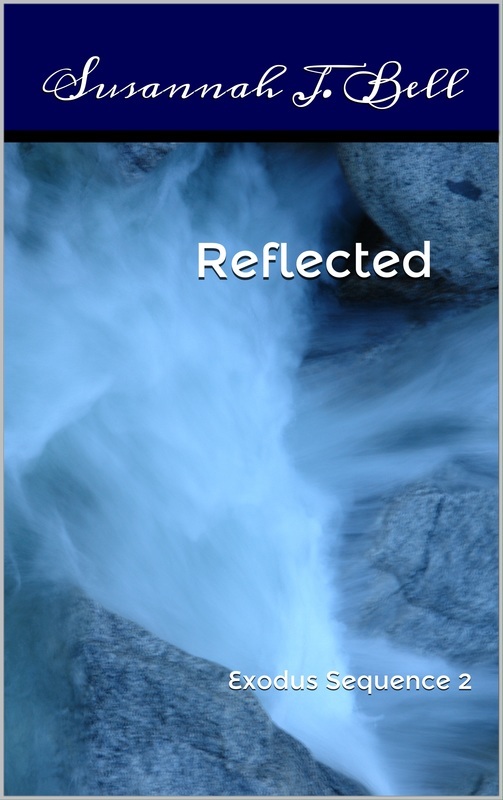 REFLECTED was an experiment in obfuscation. My heroine goes through the entire story without having any idea what is going on and neither, I have to presume, does the reader. It was quite delicious to write! A monumental event takes place on what one can only presume is Mars and is witnessed by Jennifer Reed (although we can’t be sure this is her name.) This event, an invasion, has repercussions throughout the rest of the Exodus Sequence – the first volume and the still-to-be written second. But in this entry of the sequence, the invasion is less important than the identity of Jennifer Reed. When she connects with one of the aliens, he identifies her as Miranda, a character whose background role will be immense in the remainder of the sequence. This alien – whose name we never learn – is the same as the one in WIRED, though the order of events are not yet clear. This is, after all, only the second in the Exodus Sequence: by the time you get to the end, much of the smokescreens will have cleared. The story opens with a ticking clock – having struggled to sleep (or, at least, remain asleep) half my life, that ticking clock is possibly the most annoying sound in the entire universe. I thought it a most appropriate noise to signify death. And if you understand that Jennifer is dead, the story may resonate more. What I enjoyed most about writing this story was Jennifer’s first experiments with time, space and reading other characters. My most-loved scene is the one where glass rains through her. It may be mystifying but I wanted the story to be nothing less than beautiful.